Last month I shared this recipe over at The Real Housewives of Riverton! Just in case you missed it, I wanted to share it with you today. 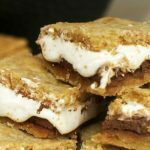 Oh heavens, do I love s’mores. 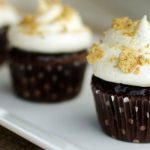 I have an entire Pinterest board dedicated to that delightful treat and the many creations one can make with those simple and oh so wonderful ingredients. Some might say I have a minor obsession. What I really have is a crazy sweet tooth! And s’mores really hit the spot. We had a barbecue with some friends recently and I really wanted to make something new. Summertime is the season of s’mores, so I decided on a delicious and chewy S’more Brownie. 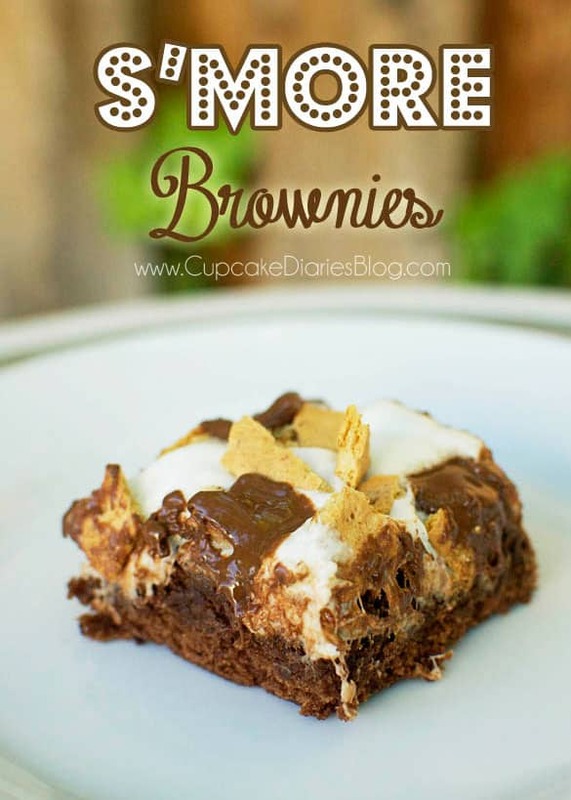 I love the soft and chewy texture of the brownie combined with the crunch of the graham cracker. 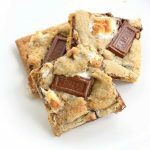 The melted Hershey bar chunks were heavenly combined with the ooey gooey marshmallow. In a stand mixer or in a mixing bowl, cream together sugar, butter, and cocoa powder. Add the eggs one at a time. Then add vanilla extract and flour, scraping the bowl throughout the mixing process. Grease a 9×13 pan with cooking spray. Pour prepared brownie batter into the pan and spread out evenly. Bake for 30 minutes. Remove the pan from the oven and immediately sprinkle the marshmallows evenly over the baked brownies. Then sprinkle the graham cracker and chocolate bar pieces over the marshmallows. Place in the oven for two more minutes to allow the marshmallows to melt together. Take a look at these other fabulous brownie recipes! Yum! 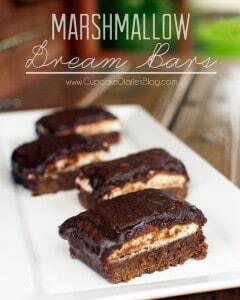 Mmmm I love smores and smores brownies sound amazing! Can’t wait to give these a try! SOOOOO yummy! Thanks again for this great post!! Hi! Just found you through the “lets be friends” hop! 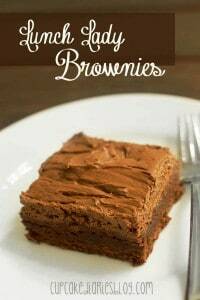 Cant wait to try these brownies omg!! !